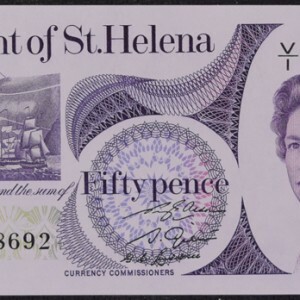 Here is a very fresh note from the obscure Atlantic Island territory of St. Helena. 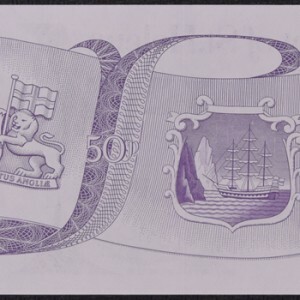 Notes from St. Helena are quire scarce and collectable; particularly for those interested in the British Commonwealth. St. Helena’s claim to fame is that it was the home of exile to Napoleon Bonaparte from the time of his defeat at Waterloo until his death in 1821.